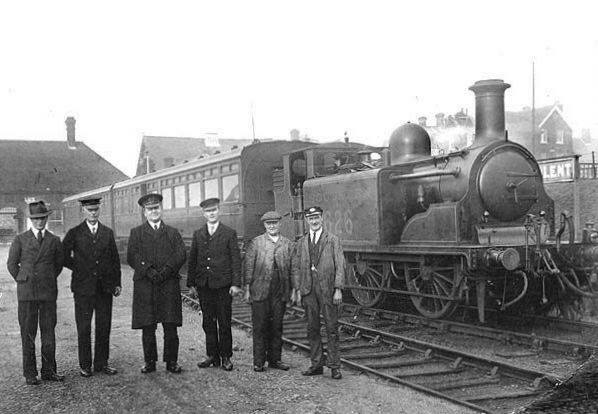 Train crew & station staff pose at Lee-on-the-Solent terminus before the very last passenger train departs on 31st December 1930. The loco is ex-LBSCR D1 class 0-4-2T No. E626.